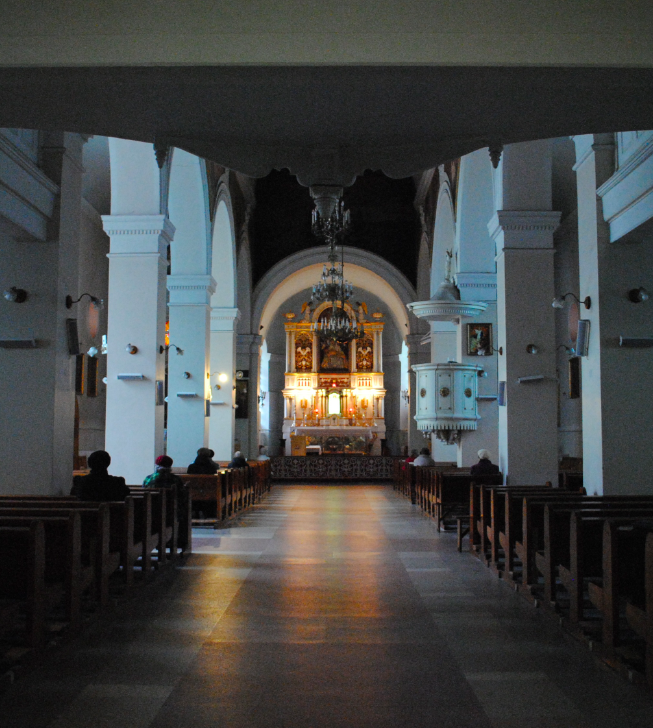 Located on Riga Pils is Sapju Dievmates Katolu Baznica – Our Lady of Sorrows Church. Constructed in 1781-1785, the church was the first in Riga to be constructed from stone. The church was dedicated to Our Lady of Sorrows as a symbol to the oppressed Catholic religion in Terra Mariana during the Reformation of medieval Livonia. Between 1858-1860, part of the church was rebuilt to designs by the Latvian architect Johann Felsko who added a new sacristy and made alterations to the main facade. 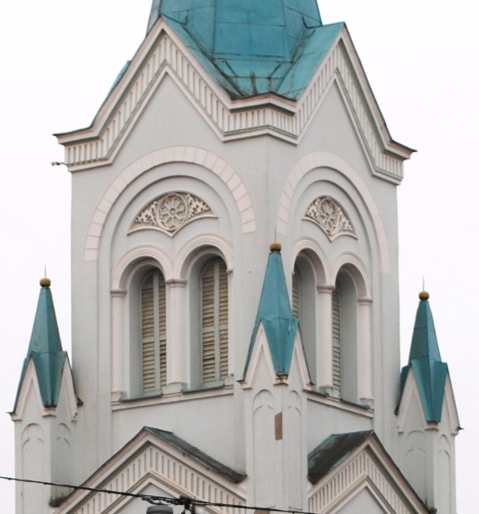 The building is decorated in blue and white and features corner piers, belfry and an octagonal spire.